On my 25 minute train journey to work each morning I like to pass the time by reading. The two most recent books I’ve read are The Lean Startup: How Constant Innovation Creates Radically Successful Businesses by Eric Ries and Steve Jobs by Walter Isaacson (both links contain an affiliate id). Although one is a biography and the other is a book on project management they actually cover similar ground, and both are books that people working in technology should read. Walter Isaacson’s book has been extensively reviewed and dissected so I’m not going to go into detail on it. The book is roughly divided into two halves. The first section is on the founding of Apple, Pixar and NeXT. This section serves an inspirational guide to setting up your own company. The joy of building a great product and defying the odds against a company succeeding comes across very strongly. 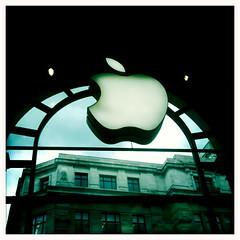 The later section following Job’s return to Apple is a much more about the nuts and bolts of running a huge corporation. While it’s an interesting guide to how Apple got to where it is today, it lacks the excitement of the earlier chapters. The Lean Startup could, rather unkindly, be described as a managerial technique book. It’s much more than that though as it’s more of a philosophy for how to run company or a project. The book is very readable and engaging with plenty of useful case studies to illustrate the point being made. The key message of the book is to get your product out to customers as soon as possible, to measure as much as you can and learn from what your customers are doing and saying. As you learn you need to make a decision on whether to persevere or to pivot, and change strategy. There are many reasons why Steve Jobs was a great leader, a visionary and a terrible boss. One aspect was his unshakable belief that he knew what the customer wanted, even before they knew themselves. This is the antithesis of the Lean Startup methodology, which focuses on measurement and learning. 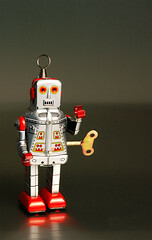 Eric Ries stresses that a startup is not necessarily two guys working out of a garage. Huge multinational corporations can have speculative teams or projects inside them, that act much like start ups, so it wouldn’t be impossible for the Apple of today to act like a start up. Apple weren’t always huge though, and back in the 1970s they really were a start up. One Apple trait the Lean Startup methodolgy doesn’t allow for is dramatic product launches. The Lean Startup is a way of working that relies on quick iteration and gradually building up your customer base. It’s hard to quickly iterate when building hardware, but early in Apple’s life they were struggling to find a market for their computers. The Apple I follow the trend of the time of build-it-yourself computers. Just a year later and Apple released the Apple ][ which came with a case and was much more suitable for the average consumer. This represents a pivot on the part of Apple. They could have continued to focus on hobbyists but instead they decided to change and aim for a bigger, but less technical, market. Reading is a key part of becoming a better programmer. Whether it’s reading about the latest technology on a blog, the latest project management techniques or the history of computers reading will help you become better at your job. I’m not sure I recommend anyone tries to recreate Steve Job’s management style, but as a history of Apple Walter Isaacson’s book is inspirational and informative. The Lean Startup is considerably more practical, even if it won’t inspire you to set a company in the first place. 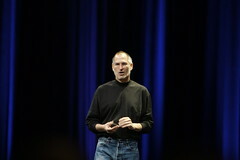 Photo of Steve Jobs by Ben Stanfield. 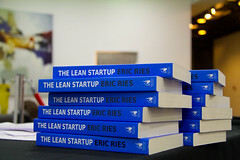 Photo of Eric Ries – The Lean Startup, London Edition by Betsy Weber. This book poses an interesting question, what would happen if you could stop Adolf Hitler from being born? 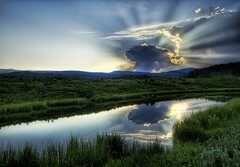 Ask anyone if they had the choice, would they take it and I imagine that almost everyone would say yes. When Michael, the lead character in this story has that choice he takes it with both hands. Unfortunately though, things do not go according to plan. Stephen Fry is a British institution and a well known upper class intellectual. In this book he is clearly writing about what he knows as it focuses on a post-graduate student at Cambridge. The book is full of colour and detail and has an air of authenticity that draws you into the world effortlessly. There seems to be a significant amount of himself in the lead character and he writes as he talks. At first I found the overly intellectual mode of writing to be annoying and distracting from what the author was trying to say. Persevere though, and you’re rewarded with a charming, warm and funny story that will also make you think about history and the choices we make. This book can easily be described a genre-defying as the time-travel premise means it clearly fits into science fiction. Don’t worry though, this book is not about spaceships or lasers as the two moments of time-travel are tiny compared to their consequences, and combined with flashbacks into the two world wars, the book fits into historical fiction as well. Is historical science fiction a genre? It is now. This book was first published in 1996, and if you haven’t read in the last fifteen years then you should definitely go and hunt down copy. You’ll read it and imagine that it was written yesterday. 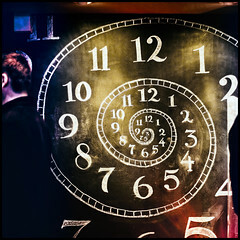 Photo of Time Travel: We Leave For New Zealand Today. by americanvirus. Rock star turned physicist Brian Cox and Jeff Forshaw have written a book with a deceptively simple title, Why Does e=mc2? With a title like that you might expect that the book will be along the same lines as the New Scientist books How To Make A Tornado and Do Polar Bears Get Lonely?. Instead though, you get a book that takes you on a in-depth journey through deriving the equation from first principles* and on to the many things that it implies. As you might expect for a book from two physicists it is a fairly specific book, focusing on entirely on the equation and the mathematics and physics that surround it. If you’re looking for a history of the equation and the Einstein then this is not the book for you. That’s not to say that it’s not well written, or not accessible because it is both of those things. The jovial nature of the writing and understandable metaphors really help you to follow the progress of the book, especially when four dimensional space-time is being discussed. This book is well written, informative and entertaining. If you’ve ever wanted to know why e=mc2 and you’ve got a basic understanding of maths then “Why Does e=mc2?” will answer all your questions and more. * Well, from an fairly basic set of set of assumptions. Photo of The Atomic Explosion and Mushroom Fallout at Sunset by stuckincustoms. I often pass some time while traveling playing a game or two on my phone. Being a football fan I was interested to see that a version of Championship Manager was available for the iPhone. Early impressions of the game are good. The interface is polished with plenty of options and buttons to press. The game also features a pretty complete set of teams and players with all the usual statistics that you would expect from a football management game. The key part of a football management is the match interface. Choosing your formation and assigning players to positions is incredibly easy with the touch interface. The actual view of the match is top down and feels really cramped on the small screen. Reading the text commentary is simple, but watching the tiny dots running around on the pitch is very difficult to follow. You cannot help but feel detached from the action. Post-match you are often treated to a press conference where you pick a journalist who asks you a question. You then pick an answer from a number of options, trying to balance the happiness of your players, board, fans and the media. Different answers will improve your standing with some and reduce it with others. Oddly along with the text of each answer the game shows you the exact effect the answer will have. A really manager has to guess at how their answer will be interpreted, they don’t have a help set of red and green numbers. I was quite surprised to see a football management game on the iPhone. Both Championship and Football Manager are well known for needing substantial amounts of CPU power and memory to run well even on a desktop PC. The game does run pretty well, although some of the menu transitions are a little sluggish. I’m sure it would run better on a 3GS rather than the 3G that I have. Another issue is that the game is a huge battery drain and you can probably only get an hour or so play on a fully charged phone. While Championship Manager on the iPhone was never going to be a graphical marvel, but it is undoubtedly one of the most impressive games on the system. At just £2.99 it’s an excellent purchase. 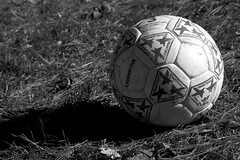 Photo of a soccer ball by jbelluch.